Use Animoto, PowToons, or any other presentation cloud tool to create your own daily learning routine guides. 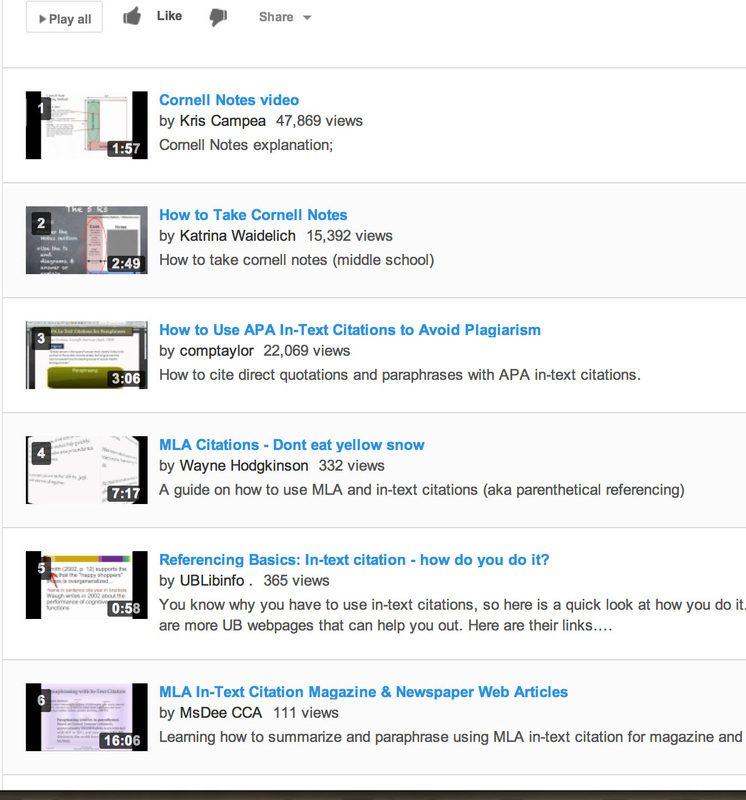 A student can easily review or get caught up to speed when joining the class, by watching preprepared video procedure guides, such as this one on "Writing Assignment Formats:"
Here is an image of a playlist of YouTube videos curated into a library of outsourced lessons for review of Common Core support skills. Each unit of study requires specific embedded skills, but not all students are ready to proceed without review. Create a mini-lesson menu that students can refer to as needed, or provide links to specific mini lessons as they appear in digital directions. GoogleDrive offers an easy way to share startup and guiding documents with students and student study teams.